Spatio- and spectro-temporal data (SSTD) are the most common types of data collected in many domain areas, including engineering, bioinformatics, neuroinformatics, ecology, environment, medicine, economics, etc. However, there is lack of methods for the efficient analysis of such data and for spatio-temporal pattern recognition (STPR). The brain functions as a spatio-temporal information processing machine and deals extremely well with spatio-temporal data. Its organisation and functions have been the inspiration for the development of new methods for SSTD analysis and STPR. The brain-inspired spiking neural networks (SNN) are considered the third generation of neural networks and are a promising paradigm for the creation of new intelligent ICT for SSTD. 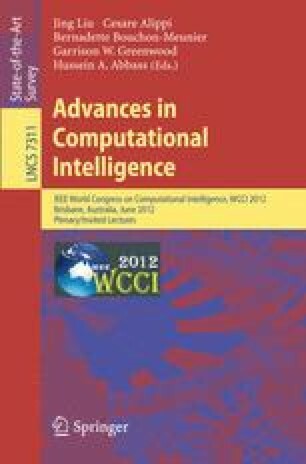 This new generation of computational models and systems are potentially capable of modelling complex information processes due to their ability to represent and integrate different information dimensions, such as time, space, frequency, and phase, and to deal with large volumes of data in an adaptive and self-organising manner. The paper reviews methods and systems of SNN for SSTD analysis and STPR, including single neuronal models, evolving spiking neural networks (eSNN) and computational neuro-genetic models (CNGM). Software and hardware implementations and some pilot applications for audio-visual pattern recognition, EEG data analysis, cognitive robotic systems, BCI, neurodegenerative diseases, and others are discussed.